If you’ve watched just a little television in the last couple of weeks, you’ve undoubtedly been exposed to the super partisan rhetoric of this campaign season. This fixation with making the other party look like out-of-touch, self-serving simpletons isn’t relegated to your TV. Despite all of the incredibly important things this country needs to get done, Congress has passed very few laws this session. Instead, it has been intent on focusing in on making the other party look bad. Wind turbine blades. Photo by Flickr user vaxomatic. One example of an incredibly important piece of legislation that is languishing in the punch and counter-punch atmosphere of this Congress is the Production Tax Credit for Renewable Energy (PTC). 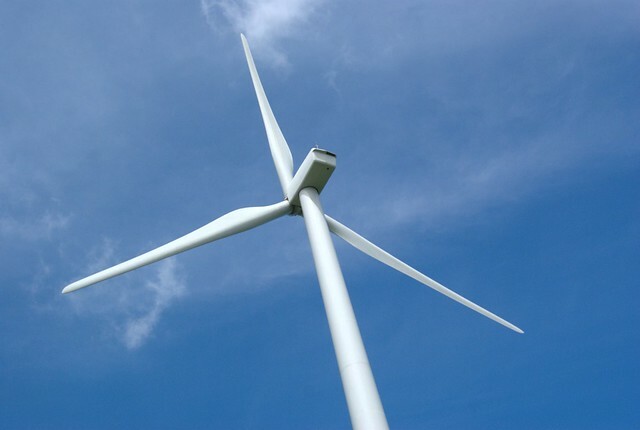 The PTC is a 2.2 cent per kilowatt tax credit for the production of electricity from utility scale wind turbines for the first ten years of production. It has been on the books for twenty years, and has been an important incentive in getting the wind industry up and running. Unfortunately, the PTC is set to expire in December of 2012, and the chances of renewing it are getting smaller and smaller every day. The wind energy sector supports American job growth. With the PTC in place, our wind energy sector has been an important component for job growth in America, employing an estimated 75,000 people. It’s projected that if Congress fails to extend the PTC 30,000of these jobs could be lost within a year. The same study shows that renewing the PTC would likely add 17,000 new jobs. That’s nearly 50,000 American jobs at stake if Congress fails to act. For this reason, many major labor unions are strongly endorsing PTC extension, including the United Steelworkers, the Service Employees International Union, the Utility Workers of America, and many others. To remain a world leader, we must invest in our future. Without a PTC in place, the prospect of the United States ceding the world-wide, burgeoning wind power industry to China, Denmark, Spain and other countries is very real. Whether it’s due to dwindling global supplies of fossil fuels or an international push to address the changing climate, renewable energy supplies are undoubtedly going to be an increasing portion of the world’s energy supply. Wind power will likely lead the way. If the United States is going to be a leader in this industry, we need to invest in it. The Production Tax Credit is such an investment. Wind energy is smart and responsible. The PTC and its role in transitioning us away from fossil fuels towards renewable sources of energy is also keenly important for reducing the emissions of carbon and addressing global warming, the planet’s most pressing environmental problem. Climate change is real. This summer’s weather is an indication of what we are in store for if we don’t start ratcheting back carbon emissions drastically. This July was the single hottest month recorded since measurements began in the 1890s. Two-thirds of the country experienced drought this summer, much of it labels “severe.” More than 113 million people in the United States lived in areas under extreme heat advisories, and wildfires burned more than 7 million acres and the fire season isn’t even finished yet. It is imperative that Congress bridge their partisan divide and renew the PTC this session. Early last month, a small sign showed that this may be possible. The Senate Finance Committee voted 19-5 to renew it, with several Republicans— Sens. Chuck Grassley (Iowa), John Thune (South Dakota), Orrin Hatch (Utah), Olympia Snowe (Maine), Mike Crapo (Idaho) and Pat Roberts (Kansas)— joining Democrats to support extending the credit for one more year. The bi-partisan nature of this vote is refreshing. This isn’t a left or right issue. It’s a jobs issue, it’s a global economic competitiveness issue, and it’s an environmental issue. It is too important to sacrifice on the altar of partisan politics. The full Senate needs to move to pass it, and the House needs to get going before it is too late.